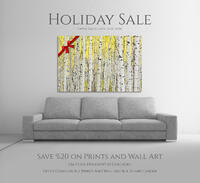 Save 20% on all orders size 16x24 and larger now until November 30th. Click here for more details. In today's world of instagram filters and countless apps to edit photos with, many people are turning to an approach of shoot it quickly and edit it to your liking later on. That's fine, but that's not the way I do photography. In my opinion there is no replacement for getting it right in camera. My goal is always to achieve an image that represents a scene as close to as what I witnessed in person. Paying close attention to composition and exposure settings is paramount. There are also a couple filters I use that will do things for your images that no photo editing software can do. The first of those is a circular polarizing filter. It never leaves my bag. If you aren't already using one, you should consider it. Let me tell you why. Click on the image or here to read the article. 11/28/2016: Cyber Monday Holiday Savings! Cyber Monday Sale! Lasts All Week! Starting right now through Sunday Dec 4th, I will be offering a 25% discount on any prints and wall art sized 16x24 or larger. To participate in these savings simply key in the code HOLIDAY16 in the discount box at checkout! I recently received Honorable Mention in the 2015 "Yellowstone Forever" photo contest, the first global photography contest focused specifically on Yellowstone National Park. The contest was put on by Nature's Best Photography and The Yellowstone Park Foundation. Yellowstone is a special place to many, including myself and remains one of my favorite places in the world to take pictures. I've spent a lot of time within the boundaries of the park and have shot thousands of images. I'm Very humbled that my image "Cloud Walker" was chosen by the judges to place amongst the over 11,000 images from 31 countries submitted for this competition. Click here to learn more. 03/01/2016: Image of the Month - "Aspen Abstract"
Image of the Month: March - "Aspen Abstract"
Today I'm starting an exciting new promotion where I will feature one image from my collection every month. For the duration of that month the featured image will be available for purchase at 10% off the normal asking price for all prints and ready to hang pieces of wall art sized 16x24 and larger. For March I chose one of my best selling new images. Shot in autumn I used a slow shutter speed and purposefully panned the camera during the exposure to create and abstract/painterly image of aspen trees in autumn. Taken in Colorado. This is a great opportunity to own one of my works or to add to your current collection! Keep an eye out at the beginning of next month for my next pick for image of the month! For 24 hours on Monday I will be offering wall art 16 by 24 and larger at a %20 Discount. This is the first time my work has ever been on sale to everyone. To take part, simply key in CM15 in the discount code box at checkout. 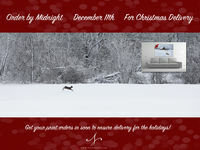 To ensure delivery by christmas with normal shipping please make sure to have all orders in by Midnight on December 11th. I'm back in Wisconsin, where I grew up right now, and tonight's blue moon brought on a perfect oppportunity to make a new image. I chose the Milwaukee Breakwater Light as the main subject of my image. I was hoping for clear skies and a great view of the moonrise just after sunset and that's exactly what I got. Using a supertelephoto lens pointed out towards the lighthouse, I waited for the moon to be in just the right position. This image is now available for purchase. Click here to see the photo. This video was produced to accompany the Smithsonian Exhibition of Winners and selected Highly Honored images from the Nature's Best Photography Windland Smith Rice International Awards 2013 competition. It is shown on two Panasonic 50" HD flat screen TVs at the National Museum of Natural History in Washington, DC. The exhibition is open from Oct. 24, 2014 through April 20, 2015. These annual displays are viewed by millions of people in one of the world's most prestigious and highly-visited museums. Recently the Daily Mail ran an article on a series of images I took in Katmai National Park in Alaska. Click Here to see the article. I am pleased to announce that my image "Dawn of Winter" Has been chosen as a highly honored winner in the prestigious Nature's Best Windland Smith Rice International Awards. Click for more info. The follow up to the highly succesful book "Photo Inspirations" is now available to order. I was happy to contribute my story and photo of "The Crystal Mill" to this great book. The perfect book for photographers looking to hone their skills and photography admirers alike. "Photographic Visions: Inspiring Images and How They Were Made is a treasure trove of world-class photography that will motivate photographers of all levels. Each image is accompanied by extensive information about the photographer, the vision and story behind the image, and details about the techniques and tools used to capture it. This is the second volume of the highly successful 1x.com series." Today I visited the site of yesterday's massive avalanche on Loveland Pass. This slide was the second most deadly in the history of Colorado, claiming five young lives. Four snowboarders and one skier were killed after a large slab of snow broke loose above them. Perhaps even more tragically, these experienced backcountry athletes were gathered here for a backcountry safety event. This is a potent reminder of how powerful and unforgiving mother nature can be. Be safe out there. 10/18/2012: New Releases Have Arrived! It's already mid-October. A big wind storm moved through tonight, taking with it whatever remaining leaves were still clinging to their branches. Fresh snow covers the ground. That unmistakeable feeling of winter is already in the air. This was an amazing year for me. I took trips and made memories I won't forget. With every photograph I make, the urge to take more gets a little stronger. For me photography is about the future. It seems counter-intuitive to associate the future with an activity that is so tied to memories. But, what excites me about nature photography is that every day you're in the field you never know what you might see. What new experiences you might have. Every time you step foot into nature with your camera in hand, there is the possibility that this day will be the day you take your best photograph. And if that day comes, you realize you still want to try. Because no matter what, there is always a better photo to be taken. As I look through my current new releases, I'm thinking about how at one time they never existed, and now, they are ready to see the light of day. This gets me thinking about the blank slate of images that don't yet exist, wondering what they will come to be. Until then, Please enjoy my Fall 2012 Collection of images. Recent photos of the unprecedented wildfire season that has started early here in Colorado. Take a trip with me to the summit of Mount Evans on the highest paved road in North America. Click here for the video. 2/27/2012: Behind the Image - The Story of "The Gift"
Go behind the scenes of one of Nate's most popular images. Pictures themselves tell a story, but rarely do we get to see what goes into the making of that photograph. Welcome to the first edition of Behind the Image. Every year in January, Breckenridge hosts the International Snow Sculpture Championships. It's an event I always look forward to. It's amazing to see these teams of sculpters transform 20+ ton blocks of snow into incredible temporary works of art using no power tools or internal supports. Click to see photos. I'm proud to have several of my fall images featured in the Fall/winter 2011/2012 issue of Nature Photographer Magazine. (on newstands now) This has always been a favorite magazine of mine and I'm honored to see my work grace its pages. Click here to see more. On a recent trip to Yosemite, I took a picture of one of it's most famous icons... El Capitan. Click the thumbnail to the left to dig a little deeper into the image. Recently my image "The Gift" Was featured on the homepage of Yahoo.com Click the picture to take a closer look! 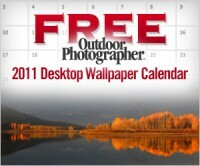 To download my image "The Gift" as a high resolution desktop wallpaper from NationalGeographic.com Please Click HERE. 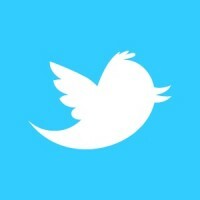 7/25/2011: To Watermark or Not to Watermark? Click here to read an in depth article on why I use watermarks on social networking sites, and why they aren't neccesarily the evil little logos so many make them out to be. As is typical for the high country, summer has been slow to show itself. The mountains still have a well above average snowpack from our 600+ inch winter, and we received a fresh blanket of snow just last week. This has me daydreaming back to my trip in the tropical weather of the British Virgin Islands this past winter. So I thought giving away my favorite and best selling summer photo, "A Crab's World" would be the perfect prize for a new contest. Click here for the details. 5/7/2011: Free Mother's Day E-Cards! Say happy Mother's Day with any of these free E-cards from Nate Zeman Photography! Feel free to save any of these E-cards to your computer and email them to whoever you wish! Prints are now available in three different ways. "Print only" "Mounted Print" and "Mounted and Double Matted." Click Here for details. I spent two weeks in the Caribbean this past February. You can see all the photos in my trip report by clicking this link. My image "A Crab's World" is currently available on the National Geographic Website as a high resolution wallpaper. If you would like to download it, click the link and enjoy! I spent the evening photographing the Indian Gulch Wildfire, which has been burning strong for a few days now just northwest of Golden, Colorado. Click HERE for the photos. Nate's Image "Platinum Skies" which was taken last October in Grand Teton National Park has received honorable mention in Outdoor Photographer Magazine's 3rd Annual Nature's Colors contest. Winners were chosen from over 7,000 entries. 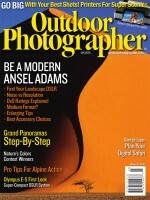 Pick up your March Issue of Outdoor Photographer, on newsstands now! 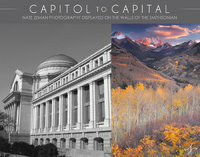 2/2011: Follow Nate Zeman Photography on Twitter! Follow us on Twitter for extra info from the field and be the first to know about any new promotions or info related to Nate Zeman Photography! Art Cards are in stock and available for purchase! Click for details. Wishing you happiness for the holidays and the new year! We are currently running a contest on our Facebook Fan Page. A lucky winner will receive a complimentary 12 by 18 limited edition print. Please see the page for details! Fall 2010 was a very productive time for me. It also happens to be my favorite time of year, which most likely accounts for the amount of photos in this trip report. If you would like to see the photos please click here. Enjoy! For a listing of all my trip reports click here. I just returned from an amazing trip to Yellowstone National Park. Two of my friends, Paul and Ian, drove in from Seattle and met me there. They are two of my best friends so it's always a great time when we get together and shoot. For a complete trip report click HERE. For a listing of all my trip reports click HERE. In March I escaped the snowy mountains of Colorado and headed to sunny Florida. I met up with some of my family who were already there and spent most of my time at J.N. Ding Darling National Wildlife Refuge photographing birds. For a full trip report please click HERE. For a list of all my Trip reports click HERE.